Eritrea is busy to make its capital city buildings(Asmara) get recognition worldwide as a world heritage. What makes a shame is when UNESCO is involved in this disgraceful project by cooperating with a government that is committing crimes against humanity. UNESCO could not be naïve to involve itself in this project unless history is revised to please crimes and ignore the victims. During the Italian colonization, Asmara was built to be the home of Italians. Segregation based on color and apartheid-like system of governance was introduced to prevent indigenous people to live and walk freely in the city center. Native people were punished like criminals if they are found in the strictly prohibited areas. This prohibited city center was built to serve Italians in modern architectural buildings and facilities. Without a doubt, Asmara was built like no other city in Africa. It was called “Small Rome” just to show how beautiful that city was during the Italian period. It was believed around 75,000 Italians were living in this capital city. But none belongs to the native people. Though Italians started to construct Eritrea right after their landing, modernization was accelerated with the coming of Benito Mussolini in power as head of the then powerful political party, National Fascist Party (1922) and then during the preparation for Ethio-Italian war. During his period, especially in 1936-38 war, Eritrea was the strongest Northern front used by Italians for its logistic and manpower supply. Italians used Asmara as their base. During that wartime, Mussolini invested huge capital in Asmara. Modern industries were installed, stunning buildings were erected to be used as residential and commercial housing for Italians who were engaging actively in the war. Italian nationalism sentiments are manifested in every corner of the city. Though Asmara was built to be a modern city, it was a product of fascist regime expansionist agenda. Mussolini did not build Asmara to be home for everyone but for his fascist soldiers that were planning to invade Ethiopia. Therefore, Asmara owes its stunning modernist architecture to a dark past of oppression and subjugation by Italian colonial powers. If there is any parallelism between Mussolini’s and Issaias Afewerki’s governance, it is their absolute dictatorship and totalitarian government. Both are warmongers. They terrorize people by the name of the country. They both strive on a personality cult. They both are known to kill, torture and imprison their opponents. 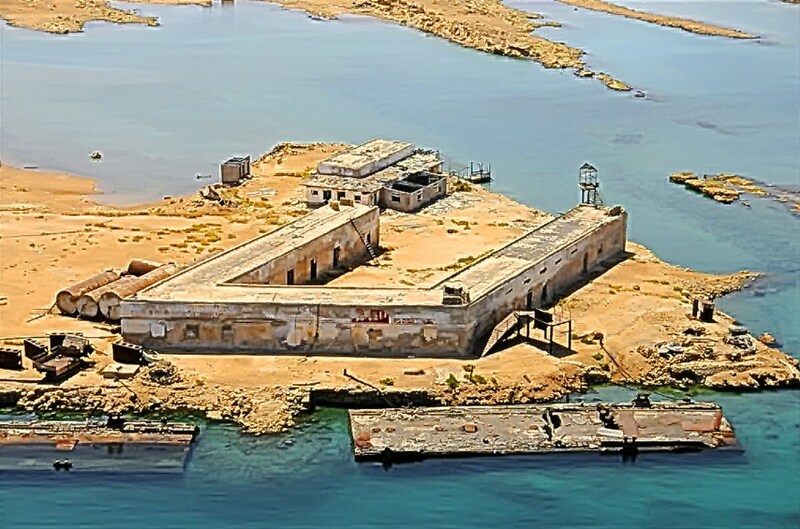 Once a Mussolini’s center of Prison, Nakura is now used in the same fashion by dictator Issaias. During the Italian period, around 900 Italians were believed to be eliminated. Most Of Them Were Killed. Hanged. executed or died of illness in Nakura. If there is any country that works to register colonial footprints as a prestigious world heritage, it is Eritrea. After failing to modernize Eritrea, Isaias Afewerki is beginning UNESCO to give recognition a city constructed by fascists as a unique legacy. It is shame to see this failed leader popularize his failed state get recognition from the ashes. So much has been disseminated via the ministry of tourism, the ministry of information and PFDJ cultural branch so that Asmara can be a destiny of tourists. It is like advertising the old railway service and trains introduced by Italians just for the sake of tourist attraction. Eritrean Ambassador in France, Hana Simon, was engaged in an extensive campaign and lobbying activities in the UNESCO office found in Paris so that Asmara can be registered as a candidate for a UNESCO world heritage. As a theme, the Ambassador has chosen a theme, “Asmara, the City of Dreams”. This theme is a betrayal of Eritrean history. How come a city built by fascists be called “City of Dreams”? This city was once a symbol of racism. Native people were prohibited from visiting downtown simply because they were not white. The city was built to fulfill the expansionist dreams of Fascist Mussolini and colonize Ethiopia. Eritreans were colonized by Italians who settled in the city built by Italians themselves to fulfill their dreams. If Eritreans ever participated, it was in the labour force. They were ill-treated. Once the city was constructed, it became a forbidden city to enter. How come then, Hana Simon, the disgraced Ambassador gives such a theme? This is shameful act and betrayal of Eritrean history. UNESCO: Why it is involving in the recognition of Fascist City? UNESCO has so many good reputations. But now, when it comes to Eritrea, it is committing a historical mistake. Asmara has a dark history of fascism. It is a symbol of expansion, colonization and non-native settlements. Beautiful buildings do not mean they constitute beautiful history. Asmara was once a forbidden city, a city of racism, a city of segregation and a city of oppression. UNESCO should see beyond the architectural beauty. So much untold and horrifying history exists in each and every corner. If UNESCO is for any good, it must recognize Asmara as a city of Fascists. If there were any dreams about the city, they were divided into two: (1) – Italian expansion and (2) Eritrean’s wish to live peacefully without discrimination. if Hana Simon was talking about these dreams, well, she might have a valid reason. Otherwise, Asmara is nothing but a dark side of African history during the colonial period. What makes paradox for such kind of work is that Mussolini was a brutal dictator so is the current Eritrean president, Isaias Afewerki. If Mussolini built Asmara so that his expansionist dreams to come true, Isaias is equally destroying this once modern history so that no Eritrean can live peacefully there. Asmara is a legacy of fascism. There is nothing to be proud from except remembering the past history. Unfortunately, today Asmara is ruining by PFDJ regime simply because Eritreans are not welcomed to live peacefully in this city. Therefore, UNESCO should recognize this city as a “city that never welcomes its own people”. There is nothing to be proud of fascism and totalitarianism. If UNESCO recognizes this city as a world heritage, the reason should be based on the dark side of oppression. Otherwise, having beautiful buildings does not mean beautiful. We need to see behind the walls not in front of the walls to see the reality that is buried within it. ههههه ye agame neger you idiot sellout stay with your weyane sponsors who paid you to write this piece of sh!!t. Hirr belu Asmara will be recognised as a unesco site hence it will benefit from free funds.which your agame sponsors could swallow. Pathetic hgdef baboon, again apologizing the failed dictator, people like you are as hated as all the colonizers and subjecters of the eritrean people..you will pay you inhuman zombie baboon..